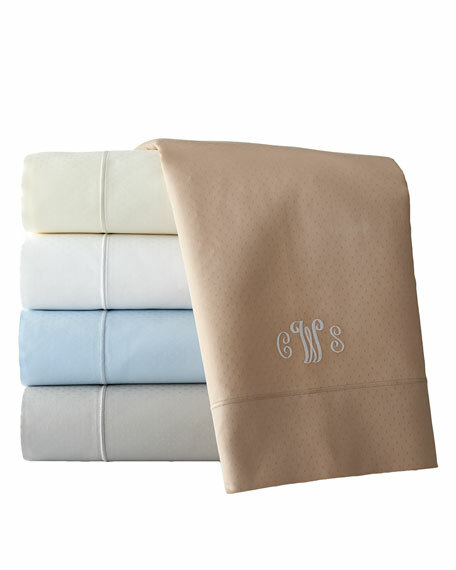 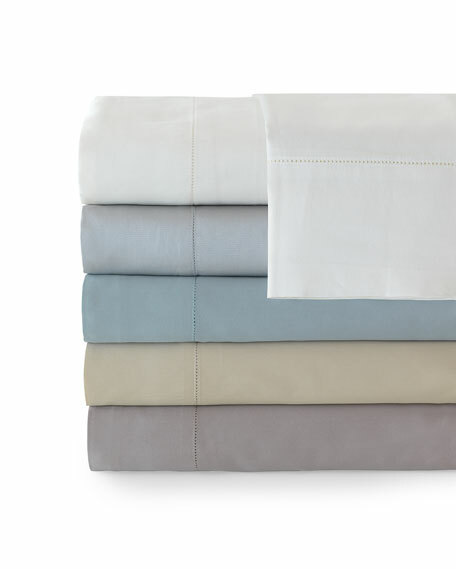 Pillowcases are woven of soft, 400-thread-count Pima cotton sateen that has a satin-like softness, sheen, and drape. 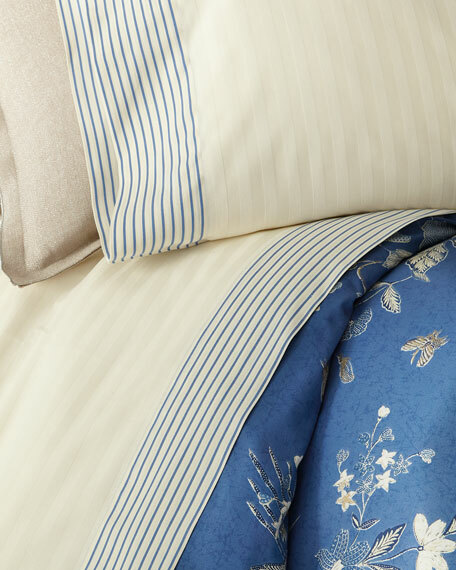 They're finished with an embroidered satin-stitch hem. 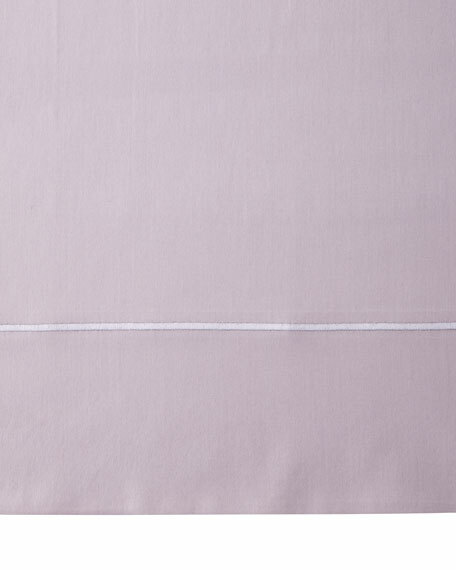 Smooth Egyptian-cotton sateen with hemstitched border.300-thread-count.20" x 31".Machine wash.Made in the USA of fabric woven in Italy.